Our San Francisco showroom has been a favorite destination for locals and visitors alike since it first opened in 1992. 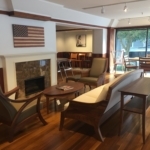 Located in the charming outer Sacramento Street neighborhood of cozy cafes and small boutiques, it’s a short cab ride from the downtown district or readily reached via the #1 California Municipal Transit line. Sunday 11 a.m. – 4 p.m. The California Bay Area has been my home for 27-years. With roots that connect me to handcraft as well as the region from which our wood is sustainably sourced, I am proud to represent Thos. Moser. Please consider bringing the serenity of nature into your home or workspace via the beauty of solid wood furniture. Visit our showroom during regular business hours or call to arrange a personalized consultation.